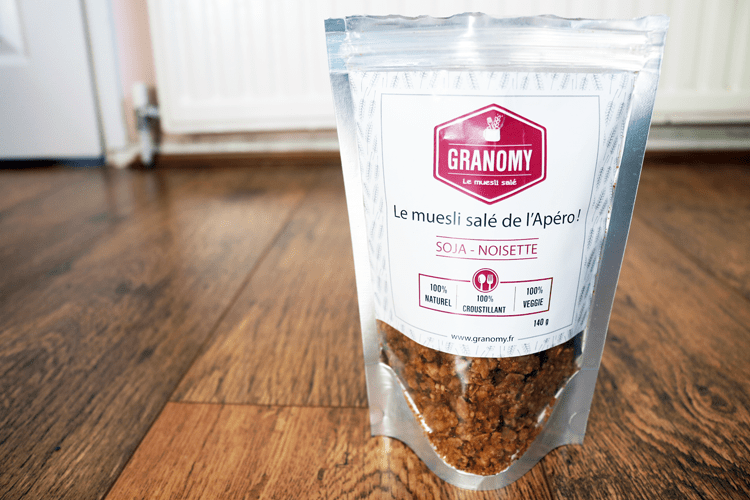 I often eat muesli for breakfast, but this muesli is quite different from what I usually have because it’s savoury! Made with 100% natural ingredients, this vegetarian savoury muesli is recommended as a healthy snack, and it can be used as a topping for salads to give it a crispy twist. It sounds like something that shouldn’t work, but it does, and it adds a great crunchy texture that contrasts nicely with softer salad leaves. I’ve also been enjoying eating this as an afternoon snack to keep my energy levels up. Although it’s savoury, it doesn’t taste all that different from regular muesli, it just doesn’t have that sweetness from honey or sugar in it. 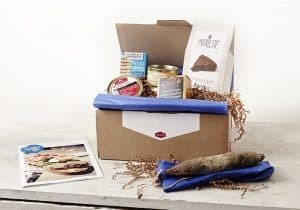 Food waste from supermarkets has been a topical issue in the UK for a while now, so it’s great to see French companies helping to spread the word about this subject too. 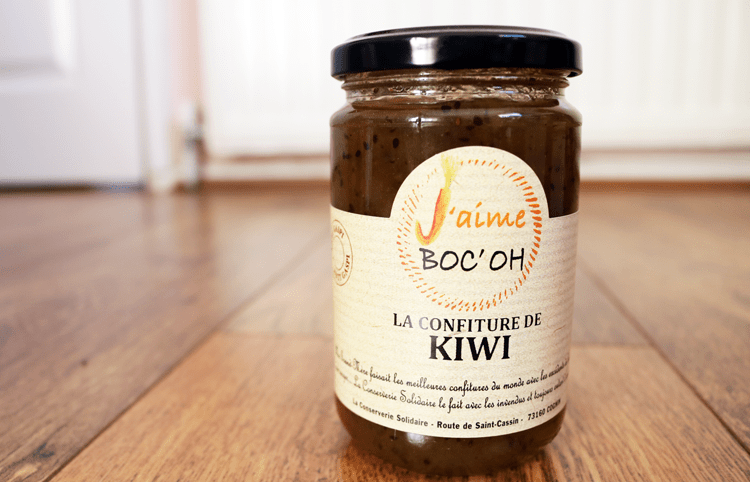 This confiture is made by J’aime Boc’Oh who received funding from the public via a crowdfunding project to set up their company in Savoy. They employ people who are vulnerable and have fallen on hard times, helping them back into employment with local support and resources. 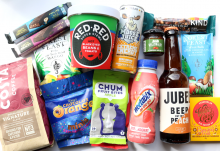 But that’s not all – all of their products are made from ‘ugly and disqualified’ fruit and vegetables which have been rejected by supermarkets and other mainstream shops for retail sale. So they’re essentially saved from being sent to landfill, and instead are made into delicious produce such as this Kiwi confiture. Cider is a favourite weekend drink for me, and I enjoy the proper farmhouse made stuff, rather than the kind that they sell in the local off-license (the ones that give you a terrible headache the next day!). 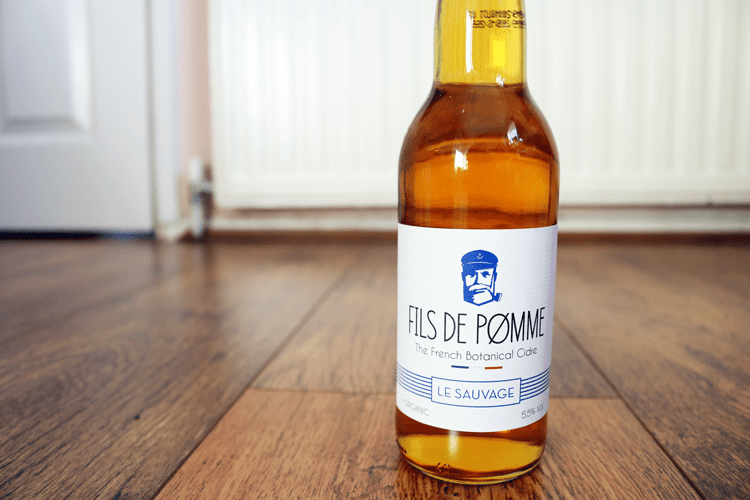 This French Botanical Cidre from Fils de Pomme is made from certified organic apples which are harvested very near their own cider house. It’s 5.5% vol, gluten free, low in calories and has no added sugar. Beef It are the only beef jerky company whose recipe is 100% made in France. They use the famous Charolais beef sourced from Bourbonnais, where the cows are red label certified, and they’re fed a nutritious diet free from GMOs. 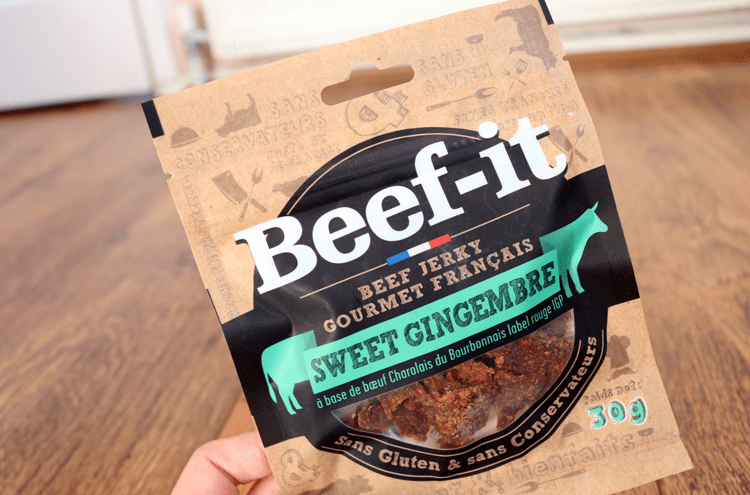 This beef jerky is flavoured with a special Sweet Ginger blend and is free from artificial preservatives and gluten. The fifth and final product in the box that I pulled out was a packet mix for a chocolate fondant cake. 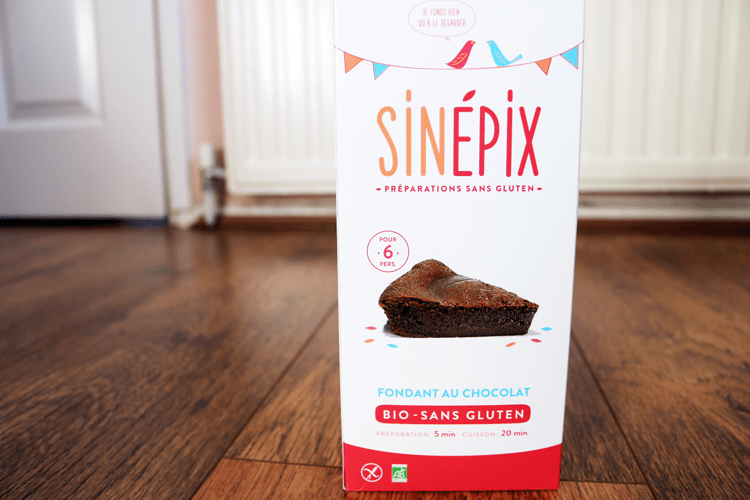 The founders of Sinepix came up with these easy to use kits when they discovered that they both had an intolerance to gluten, and with the rise in awareness of this amongst the public, they decided to go into business making gluten-free products. This cake mix is also organic (certified by the AFDIAG), and looks super easy to make. All you need to do is add melted butter and three eggs to the mix, then bake it for 20 minutes. I can’t wait to make this – it looks delicious on the packaging! 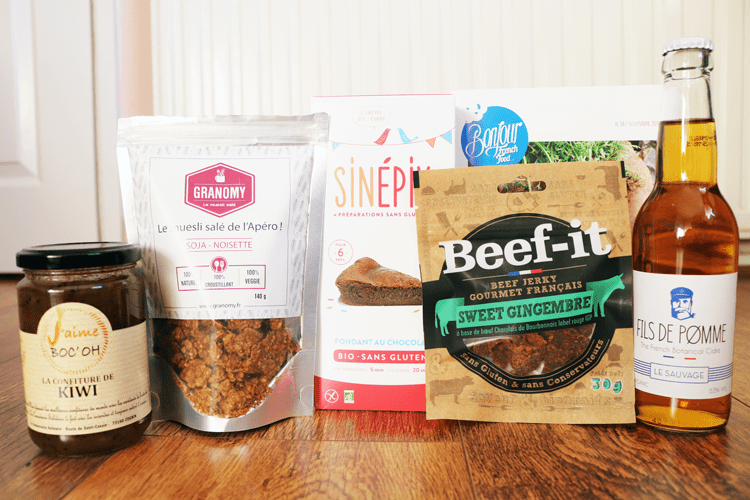 This month’s box from Bonjour French Food is my favourite from them yet – I’d love to see more products like these that are organic and gluten-free in future boxes! 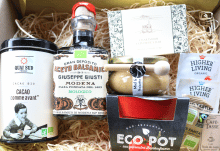 A lovely variety of products, all made by new, independent French companies. Particularly enjoyed the cider and muesli, and I can't wait to try out the gluten free cake mix!